Here is some some concept work from that moose project I worked on a while ago. Some things worked..some things went nowhere....you know how it goes! Awesome Ben....Loose as a Moose! Way rad! Dang, your work is awesome. I am going to go add you to my links list now! Unless you object? Thanks for your comments on my blog, it makes me happy! Good work, i'm impressioned by your "coup de crayon" (i don't know how to say in english)!! I am so jealous that you can draw animals so well! Humans too! No fair. Seriously, though, your work is really cool. So very Canadian! Yay again! I like your character designs. Very cool! awesome work!!! Keep up the great posts! 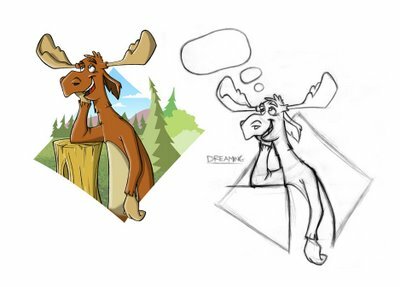 Those moose's? are looking great!!! I like both the loose ones as well as the more final ones. Bring on the moose knuckle!!! 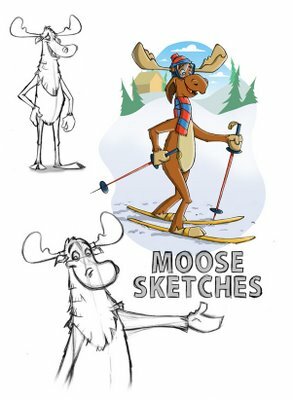 Hi Ben, Really nice moose sketches. I like the colors too! Fantastic work! Nice stuff! My favorite is the wizard near the bottom, he's right on target. So how does Florida compare to Toronto? Lookin' great Ben! 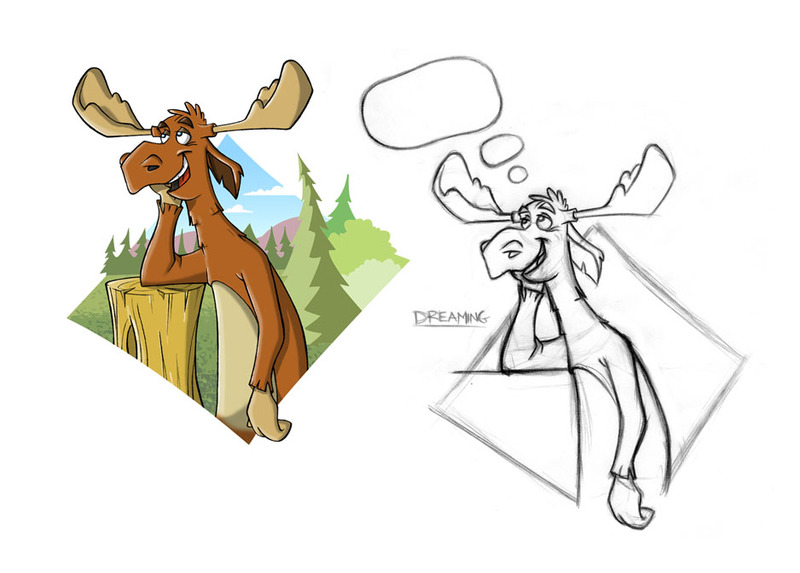 Who wouldn't love a moose like this... You sir... very nice indeed! Very cool moose!! Nice drawings!! Very well done as usual! You kick Moose Tail!!! Coool Mooose!! Love the landscape! Ben, this is awesome. You are just full of surprises. See ya later Etobicoke. I found this through searching for J.P. on myspace (no, i DON'T have a myspace account and i'm not getting one). Anyways, i'm going to add your blog here to my RSS reader so i can keep up with you! GO MOOSES ! 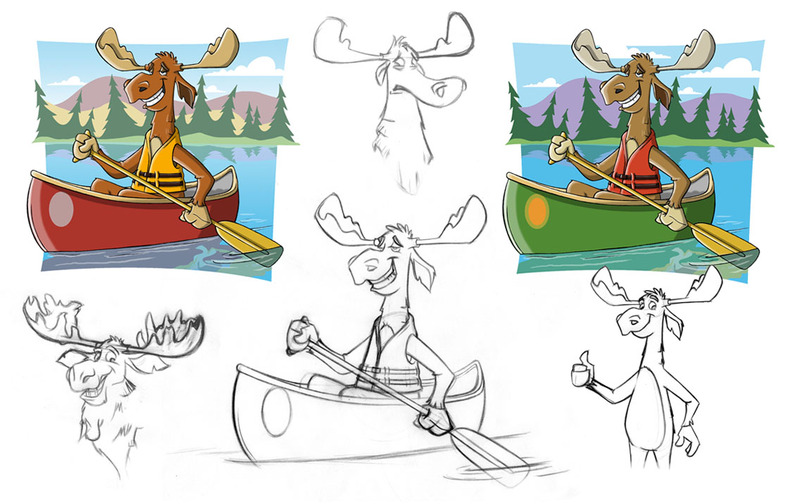 wow , dosnt it make you remember the big..ol'north :D .
its so hard to draw mooses that..look like legit mooses..er.meeses ? lol , and you do most exellent ! as per usual ! Strong stuff as usual, Ben!! Hey Ben!....WHERE'S OUR MONTHLY POST????? You've gotta post more stuff. Don't be a slacker! wiNxWk Your blog is great. Articles is interesting! All artwork copyright Ben Reynolds, 2011. Please do not use without written consent. Picture Window theme. Powered by Blogger.